Greg Hildebrandt made an appearance at New York Comic Con in New York, NY from Oct 4-7, 2018! Click here to view photos from the show! Greg Hildebrandt made an appearance at Mennen Arena in Morristown, NJ from July 7-8, 2018! Greg Hildebrandt made an appearance at Showboat Hotel and Convention Center in Atlantic City, NJ from April 7-8, 2018! Greg Hildebrandt made an appearance at Barrett-Jackson in Scottsdale, AZ from January 13-21, 2018! Greg Hildebrandt made an appearance at New York Comic Con in New York, NY from October 5-8th, 2017! Greg Hildebrandt made an appearance at Garden State Comic Fest in Morristown, NJ from July 8-9th, 2017! 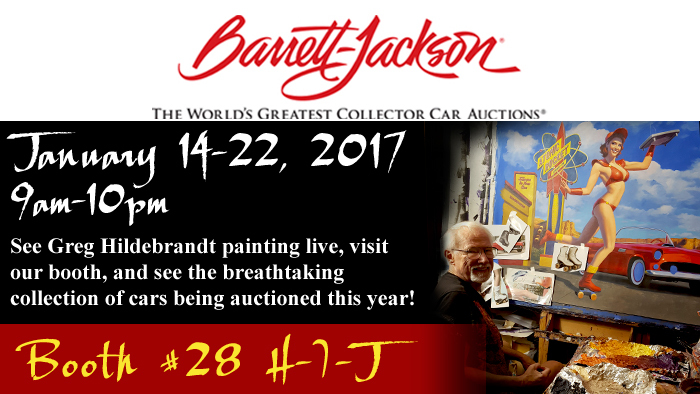 Greg Hildebrandt made an appearance at Barrett-Jackson Automobile Auction in Scottsdale, AZ from January 14-22, 2017! 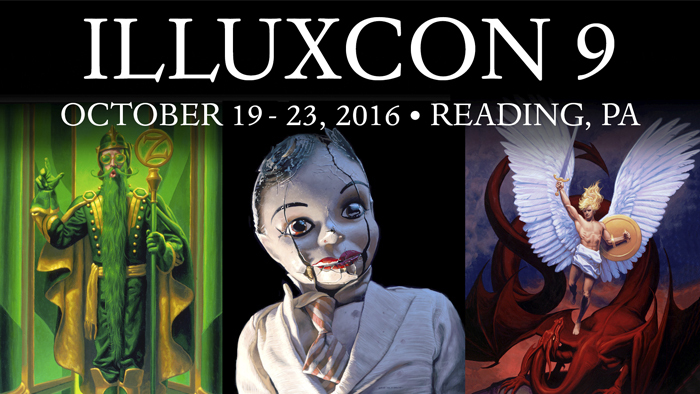 Greg Hildebrandt made an appearance at Illuxcon 9 in Reading, PA on October 7, 2016! Greg Hildebrandt made an appearance at Metropolis Gallery in NY, NY on October 7, 2016! Greg Hildebrandt made an appearance at Garden State Harley-Davidson in Morris Plains, NJ on February 27, 2016! Greg Hildebrandt made an appearance at Barrett-Jackson Auto Auction in Scottsdale, AZ from January 23 - 31, 2016! Greg Hildebrandt made an appearance at Illuxcon 8 in Allentown, PA from October 21 - 25, 2015! 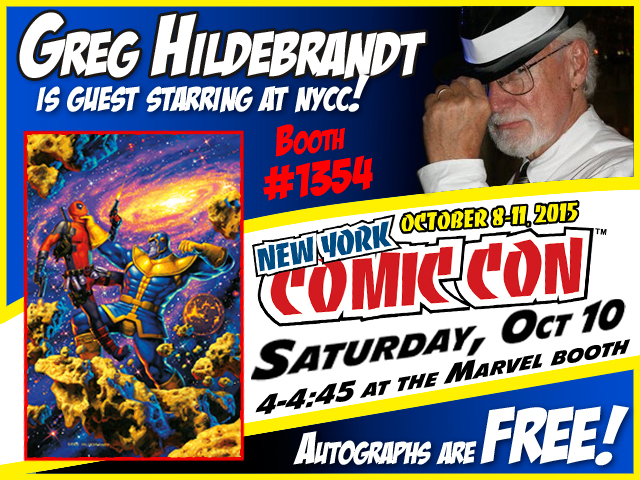 Greg Hildebrandt made an appearance at the New York Comic Con in NY, NY on October 10, 2015! Greg Hildebrandt made an appearance at the Garden State Comic Fest in Morristown, NJ from July 25-26, 2015! Greg Hildebrandt made his appearance at the Lake Hopatcong Block Party in Hopatcong, NJ on May 10, 2015! Click here for photos ofthe show! Greg Hildebrandt made an appearance at the Barrett-Jackson auto auction in Scottsdale, AZ from January 10-18, 2015! Greg Hildebrandt made an appearance at the Festivals of Speed in Orlando, FL on December 7, 2014! Greg Hildebrandt will be making an appearance at the Dead Mans Curve in Mahwah, NJ on August 29, 2014! Greg Hildebrandt made his appearance at the Lake Hopatcong Block Party in Hopatcong, NJ on May 10, 2014! Click here for some of the pics from the show! Greg Hildebrandt made his appearance in 2013 Illuxcon in Allentown, PA from Sept 11 - 15, 2013. Greg Hildebrandt made his appearance in Munich through May 29 - June 2, 2013. Greg Hildebrandt made his appearance in Zurich on May 26, 2013. Click here for some of the pics from his trip! 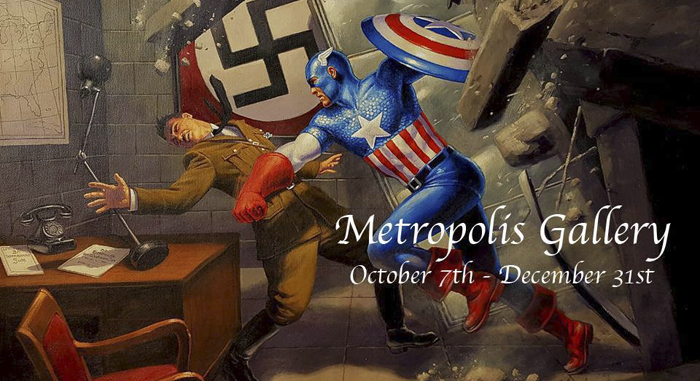 Greg Hildebrandt's pinup art is on display in a gallery in Moscow, Russia through May 2013. Greg Hildebrandt made his appearance at the Barrett-Jackson car auction in West Palm Beach, FL in April 2013. Greg Hildebrandt made his appearance at the Barrett-Jackson car auction in Scottsdale, AZ in January 2013. Greg Hildebrandt will be at the Spiderwebart Gallery's booth on January 13-20 at the Barrett-Jackson Automobile Auction in Scottsdale, Arizona. Greg Hildebrandt made his appearance at the Barrett-Jackson car auction in West Palm Beach, FL in April 2012. Greg Hildebrandt made his appearance at the Barrett-Jackson car auction in Scottsdale, AZ in January 2011. Greg Hildebrandt made his appearance at Illuxcon 3 in Altoona, PA in November 2010. Greg Hildebrandt made his appearance at the 2010 Concorso Italiano in Monterey, CA on August 19th. Greg Hildebrandt made his appearance at the 2010 Barrett-Jackson Automobile Auction in Orange County which ran from June 25-27. Greg Hildebrandt made his appearance at the 2010 Barrett-Jackson Automobile Auction in Scottsdale which ran from January 18-24. Greg Hildebrandt will be at the Spiderwebart Gallery's booth # 27B, C, D on January 18-24 at the Barrett-Jackson Automobile Auction in Scottsdale, Arizona. In October 2009, Greg Hildebrandt flew to Texas to paint Thoughts of Midnite on the side of a P-38 fighter. Greg Hildebrandt made his appearance at the 2009 Barrett Jackson Automobile Auction in Las Vegas which ran from October 7-10. Greg and Tim Hildebrandt's painting for the orignal Star Wars poster was recently featured in an article by the New York Post. Greg Hildebrandt will be at the Spiderwebart Gallery's booth on October 7-10 at the Barrett-Jackson Automobile Auction in Las Vegas, Nevada. Greg Hildebrandt made his appearance at the 2009 Barrett Jackson Automobile Auction which ran from April 9th to the 11th. Greg Hildebrandt will be at the Spiderwebart Gallery's booth on April 9-11 at the Barrett-Jackson Automobile Auction in West Palm Beach, Florida. Greg Hildebrandt made his appearance at the 2008 Illuxcon which ran from November 6th to the 9th. Greg was thrilled to be side by side and meet many of today's top illustrators! 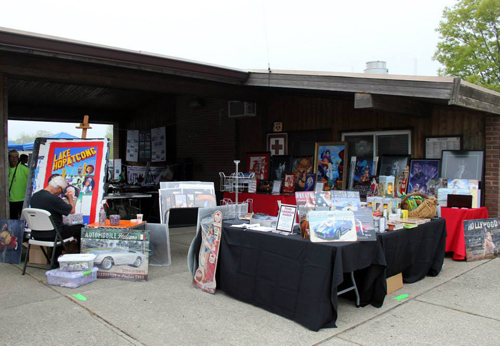 Greg Hildebrandt was honored to be asked back to display his art at the 2008 Glenmoor Gathering Concourse Antique Car show in Canton, Ohio. The show ran from September 12th to the 14th. which ran from July 24th to July 27th, as well as the Every Picture Tells A Story art gallery in Santa Monica on August 2nd. During his time on the West Coast, Greg was thrilled to meet and talk to many of his fans from around the world! He thanks you all for coming out to see him!!! The Paramount Theatre in Asbury Park, NJ. He will take part in a panel dicussion at the 6th Annual Garden State Film Festival which will be screening the documentary, The Legends Behind The Comic Books, by filmmaker Chip Cronkite. The panel, presented by Michael Uslan (executive producer of the Batman Movies), will also feature fellow comic book legends, Joe Kubert and Denny O'Neil. Come relive the history of comic books, as creators, artists, and writers give their first-hand accounts and tell their stories in this wonderful film! For more information please go to www.gsff.org. Tickets may be purchased online or at the box office on the day of the screening. Thursday December 13th, Greg Hildebrandt will be at the Montclair Art Museum at 6:00 PM with friends and will be available for autographs. At 7:00 PM the museum has a very special guest appearing to speak about the African-American presence in comics. Reginald Hudlin, President of Black Entertainment Television (BET), is also a comic book writer for Marvel's Black Panther and Spider-Man series. Reginald will be discussing the African-American presence as creators and characters in the comic industry. This is a must see event for comic fans. Greg Hildebrandt has been chosen to paint Two 12 FOOT WIDE Comic Art Murals for the opening of the Montclair Art Museum Show - Reflecting Culture: The Evolution of Comic Book Superheroes. Show opens September 16, 2007. These will be the largest Hildebrandt paintings ever created. Click here for the final painting and sketches; show info and a fabulous Herald News article on the show, Michael Uslan, and Greg Hildebrandt. We are excited to announce that Imagine FX magazine has chosen Greg Hildebrandt's artwork for Black Sabbath's 1981 album cover, 'Mob Rules,' as the #1 Top Album Cover of All Time!!! Greg Hildebrandt has just finished all six cover paintings for Marvel Comics new Classic line. Greg is painting the covers for the Treasure Island series. He is very happy to be doing these because they combine two of his great loves, Comics and Classic Literature. Now from Marvel Comics! Greg Hildebrandt was honored to be asked to display his art at the 2006 Glenmoor Gathering Concourse Antique Car show in Canton, Ohio. The show began on September 17th. Greg Hildebrandt will be at the 2006 San Diego Comic Con for the first time in 11 years. Greg will be at Booth # 4721 with Every Picture Tells A Story. Visit Every Picture Tells A Story at the San Diego Comic-Con July 19-23 and meet our exclusive guests RAY HARRYHAUSEN and GREG HILDEBRANDT. On February 10, 2005, Greg Hildebrandt, presented Rusty Staub, Chairman of the New York Police & Fire Widows' & Children's Benefit Fund with a check for $10,000. the 25th Anniversary of Bishop Sheen's death. Appearance Update - Greg and Tim Hildebrandt's Original Tolkien Artwork was featured at Every Picture Tells A Story in Santa Monica, California!! This was the first Hildebrandt Tolkien Art show! The Show opened on January 18th. and ended February 18th. EVEN THOUGH THE SHOW HAS ENDED, EVERY PICTURE TELLS A STORY STILL HAS A FEW TOLKIEN PIECES AVAILABLE. Over 30 Original Tolkien Paintings, and for the first time - Over 60 sketches were shown. This was the first time the sketches and paintings were ever shown together! Greg and Tim were at the gallery all day on the 18th and 19th, meeting fans and signing autographs. Also available at the gallery are Tolkien Posters, Lithographs, Canvas Prints, Sweatshirts, the Limited Edition Art Book and the new Expanded Edition Art book. Spiderwebart has been working with Every Picture Tells a Story for many years. Every Picture Tells A Story has recently moved from their Los Angeles location to a beautiful new gallery space in Santa Monica. News Update - Greg and Tim Hildebrandt's Tolkien Art Book is reviewed at JanuaryMagazine.com. They say "A fascinating window into the art most frequently associated with the The Lord of the Rings. Greg and Tim Hildebrandt were artists who were passionate about their subject and produced fabulous interpretations of Tolkien's universe."